Because nothing says summer like a fresh white shirt and denim shorts. Working through some blog backlog this week, but although this was shot in Austin probably a month ago, I think it'll do just fine being worn around the city on a weekend out and about. 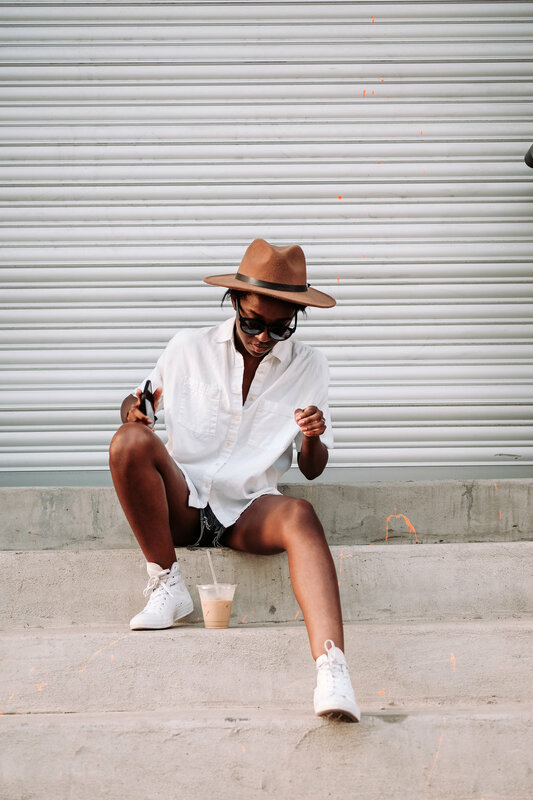 I've been crushing, hard, on white on white looks and think I'll have to go all out next time and swap the denim for white shorts or at least something of a lighter hue.